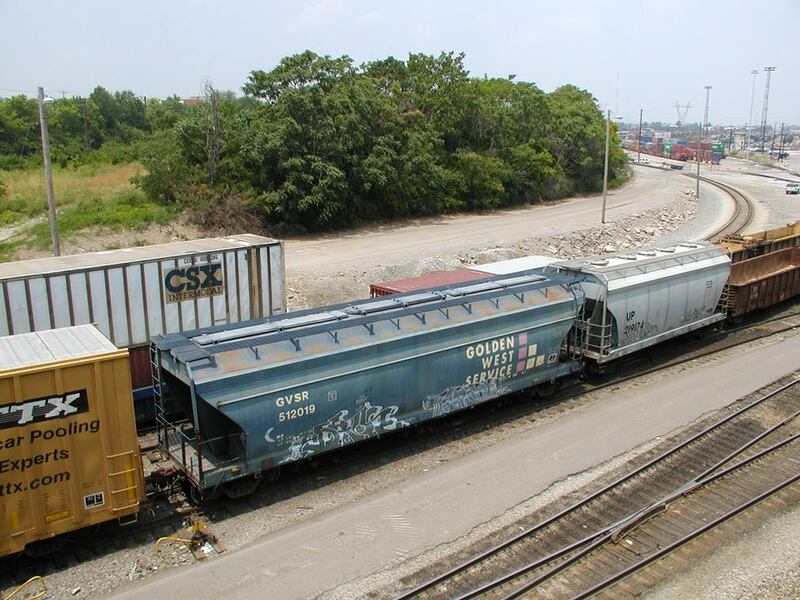 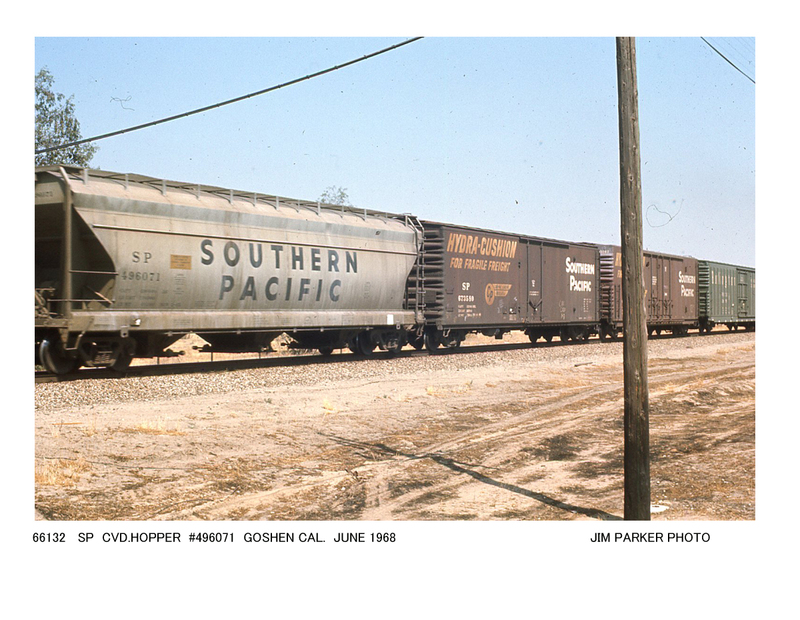 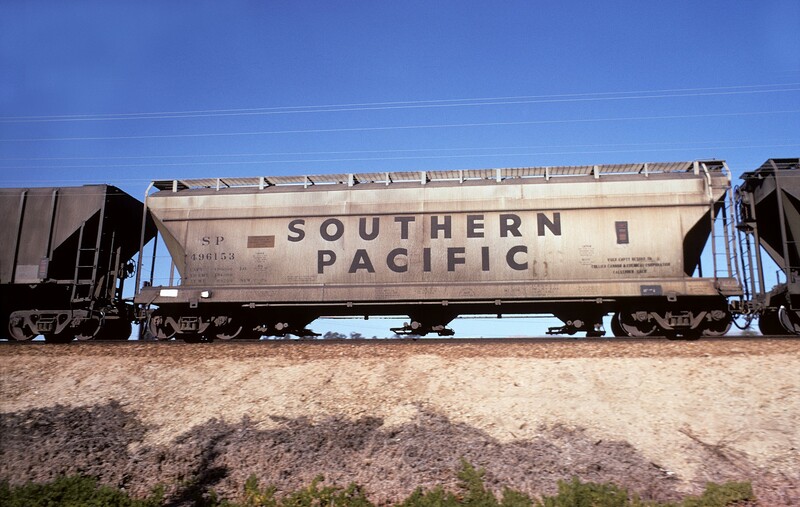 These 3-bay Center-Flow (CF4460) covered hopper cars were built by American Car & Foundry in 1965. 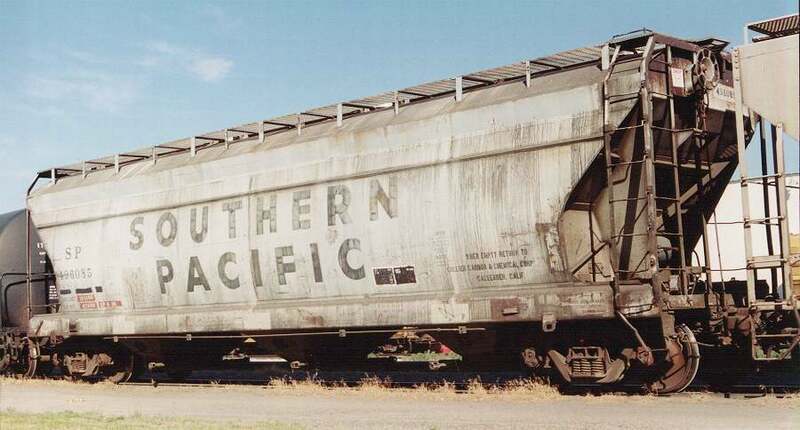 All cars were painted grey with large black lettering and featured three longitudinal trough hatches for loading and 4460 ft3 capacity. 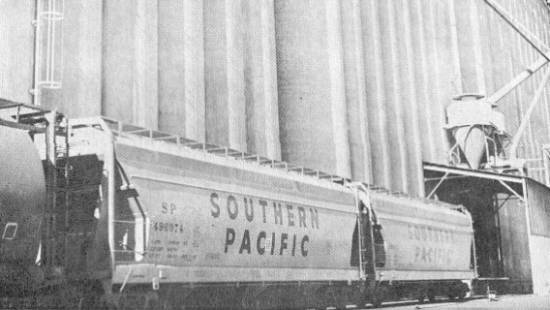 These were the only AC&F cars of 4460 ft3 capacity on the SP among a multitude of 4650 ft3 cars. 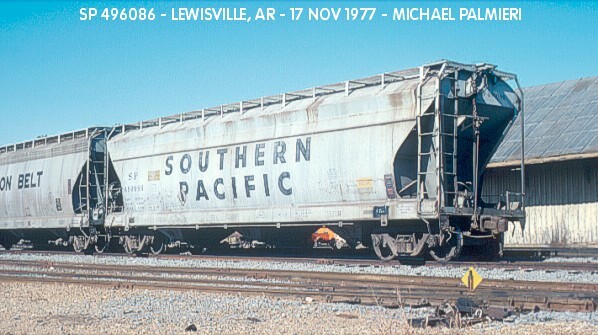 Many of these cars were rebuilt and renumbered as H-100-12R's.